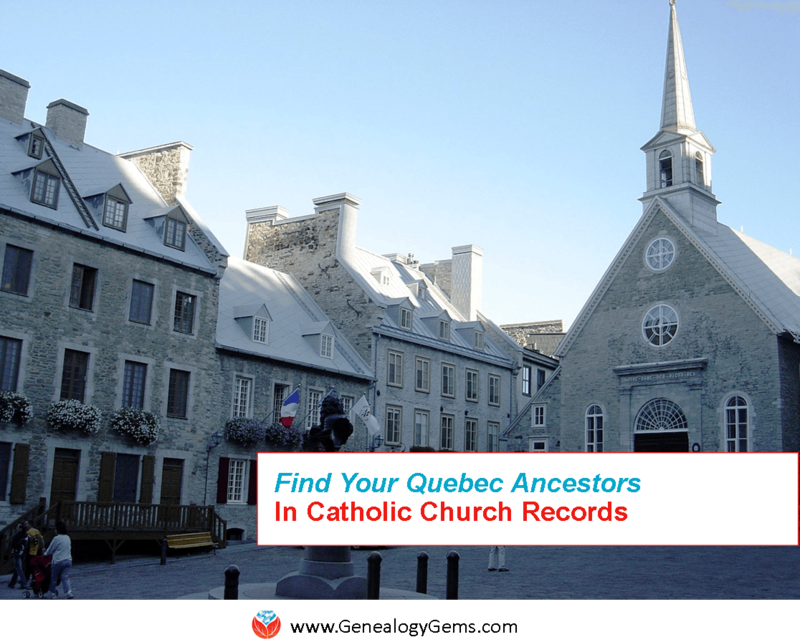 Do you have ancestors who lived in the earlier days of Quebec, Canada? Catholic church records may prove some of your most consistently helpful resources! 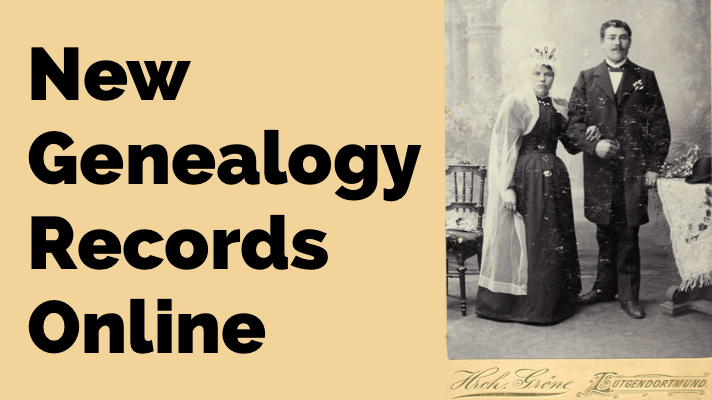 Read about how to tap into these great resources online, going back as far as the 17th century, to uncover your Canadian family history. Those tracing their ancestors in Quebec can encounter serious frustrations! The same 50 given names appear for 70% of the people before 1800 (and many share the same surnames, too). Almost all passenger lists are missing before 1865. Several early censuses are not easily searchable online. Thankfully, in Quebec church records are often available back to the 1600s. 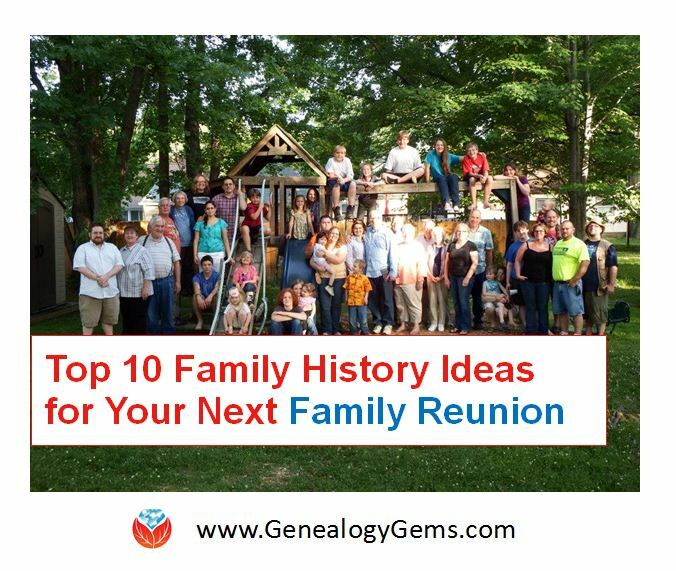 There are LOTS of them online, and they often contain the distinguishing details–those exact dates, names, relationships and locations–that can help identify an ancestor with greater certainty. 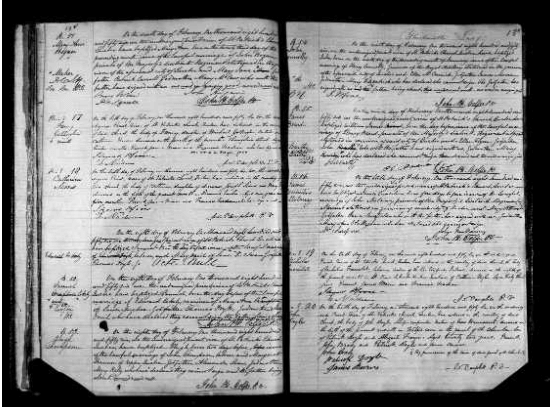 As you can see, in this baptismal record, the parents are identified as lawfully married. The father’s military regiment is named. Two witnesses are named, one who signed the register himself and the other who declared herself illiterate. 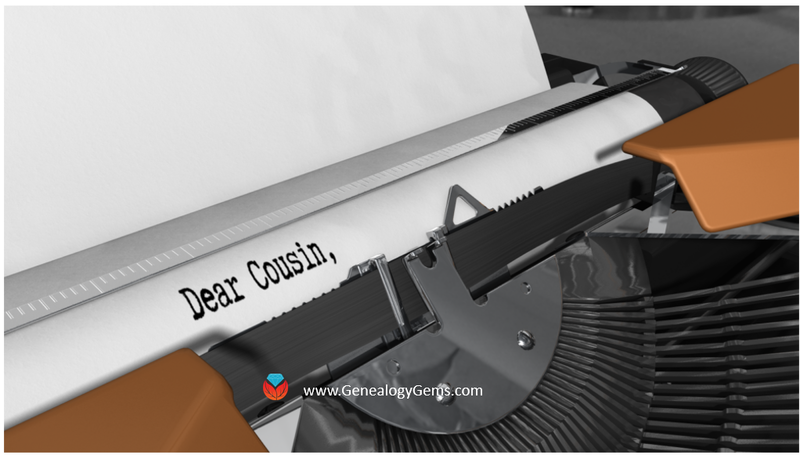 Catholic marriage and death records can also be rich in genealogical data. Though most Quebec church records are in French, this one happened to be in English. 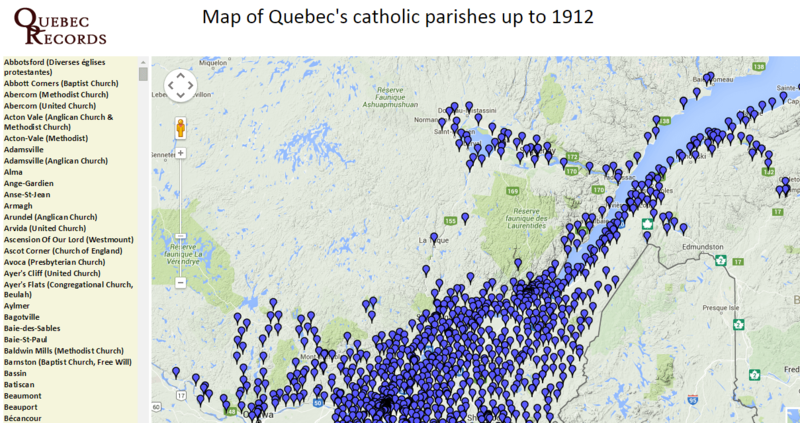 Parish censuses were also taken in various years in Quebec. Click here to learn more about them. Plus get inspired by this Family History Video about the Cooke family’s immigration to Canada! You can make videos just like this using Animoto. It’s incredibly easy! Click here for step-by-step instructions. This article was originally published on October 6, 2015 and updated on April 8, 2019.